Metal conduits serve as the best electrical conductor with many uses. The metal is thick in size and is regarded for its strength for ensuring maximum mechanical protection for an enclosed conductor. Metal conduits serve a lot of purposes and have many uses that are meant for their high efficiency, rust resistance, durability, protection for cable and much more. We provide you different types of metal conduit and their features and uses. Flexible steel conduit available in the market has excellent pull and crush feature making it ideal for bending, vibrating and flexing application. It has pre-galvanized finish and is best meant for bathroom interiors and fittings. The conduit fittings serve its purpose well even in areas that are subjected to sparks and heat like in welding sites and foundries. Besides, the flexible steel is apt for using it as mechanical protection to insulated wires and electrical cables. Galvanized steel flexible conduit is highly regarded for its significant features like rust resistance, durability and high efficiency. In areas with low fire hazard specifications, these types of conduits can be used with ease. Besides, this type of conduit is an important economical choice for industry and commercial applications. The over braided flexible conduits as available in the market is most sought-after. These types of conduits are best known for their flexible metal body that uses galvanized steel wiring braiding. It is moderately flexible and comes with square lock formation. Besides, the wire covering that comes on the top renders great strength to this conduit. The over braided flexible conduits are best meant for demanding applications and are exceptionally suitable to all kinds of industrial abuses without breaching with quality. The metallic double lock flexible conduits as available are of supreme quality like any other metal conduits and are regarded for its strength, flexibility, durability, rust resistance and so on. Its double lock feature allows it to be used for covering in areas of instrumentations, electrical cables, telecommunications, etc. You must have heard of liquid tight flexible conduits that are available on the market radar and has huge demand. These types of conduit offer long life and maximum durability. They mostly come with a PVC jacket that ensures water proofing. Its inner core is made out of galvanized steel strip and even has square locked construction that renders enhanced flexibility along with interlocked system for more strength. Metal conduit fittings are equally important as the quality of a metal conduit, since the fittings ensure the durability, strength, service of conduits. 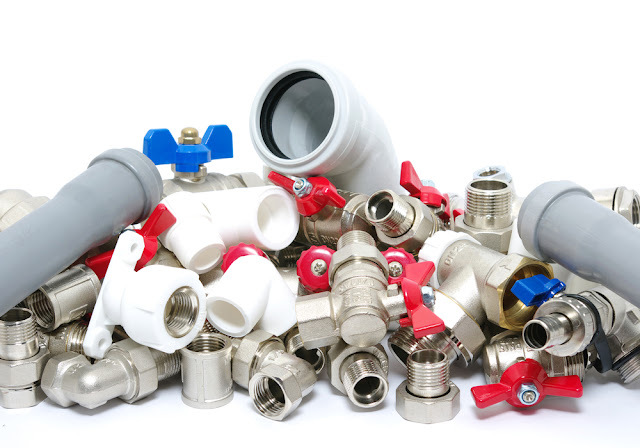 The different types of fittings include bushings, connectors that are available in varied types. For instance, you can find snap-in bushings, metal stud bushings, flex connector, duplex connector, and strain relief connectors, and so on. Snap-in bushings are particularly designed as wiring enclosures and for protecting cables and wires. These are easy to install, have longevity and are light weight. Metal stud bushings are meant to fit irregular shaped holes thus alleviating the demand of punching holes. Flex connectors are concrete tight when they are taped and they provide insulated throat. This type of connector is meant for zinc die-cast conduits. Also, duplex connectors serve the same purpose. A strain relief connector is liquid tight, non metallic and serves as a great oil tight connector that has a ceiling ring locknut. Thus, metal conduit and conduit fittings are meant to cover and give protection to optic fibers, cables and different types of wires with maximum strength. If you want to know more features and uses then let’s go here.